Agents are using checklists and deal audits to reinforce F&I training and ensure every customer has the information they need to make the right decisions for their investment. General agents are expected to facilitate the F&I team’s ability to consistently produce high levels of profit for the dealership. A consistent process will do more to ensure that happens than almost anything else. Agencies are in a strategic position to influence the process. Here are two steps you can use to assure more success and increase your value to your dealership partners. 1. Provide a Thorough and Up-to-Date F&I Checklist! As an initial introduction to a new F&I department, I conduct deal audits in order to become familiar with the paperwork being used. I find deal checklists that resemble what a deal looked like 10 to 15 years ago. And many are hardly legible — evidence that this tool is no longer valuable to them. Surgeon Atul Gawande, author of “The Checklist Manifesto: How to Get Things Right,” developed a two-minute checklist that covered some basics for surgery, which included “Do we have enough blood and antibiotics?” as well as some basics for good teamwork, such as “Does everyone in the operating room know the name of each person in the room?” They then tested these lists in eight different hospitals. The results were stunning. For example, when they took the time to make introductions, they had a 35% decline in deaths and complications related to surgery. We are not conducting life-saving surgery in the F&I office. However, F&I is the guardian of the most profitable department in most dealerships and the second-most important purchase made by consumers. Tremendous amounts of time are wasted and profits and customer satisfaction are put at risk due to missing forms or signatures. And when a compliance step is missed, it puts the entire dealership at risk. All of this is too important to leave to an out-of-date or underused checklist. The old adage “inspect what you expect” is so true. A quick review of 10 recent deal jackets can reveal that all compliance regulations are being followed, that a menu is being used 100% of the time, and whether visual efforts are being employed to overcome objections. An audit every three months can assure that the most effective efforts are being used and can identify where training is needed. Having recently conducted an overview of the F&I process in a dealership, I found their numbers were not at the level of expectations. The list of excuses provided by the F&I team was lengthy: difficult customers, sloppy sales paperwork and actions, and too many customers paying cash. The general manager and the F&I manager both said that a menu was being used 100% of the time. However, an audit of 10 deals for the F&I manager revealed a different story. Only two of the deals had a menu presented. And they had a good checklist — which, you guessed it, in all 10 deals had the menu checked as being used. The menu software also confirmed the bad news. For whatever reason, the F&I manager felt that they could do a better job without a menu. The deal audit exposed an area that, if addressed, could be the foundation to assure every customer was offered every product in the future. That will help more customers make better decisions and result in more products being sold. To build more value in your next dealer visit, provide a thorough checklist of what should be included in every transaction and incorporate a systematic deal review to hold everyone accountable. It has enabled me to uncover root issues that can drive production upward and enable dealer profits to increase. That’s what’s expected of the agency and that’s what we should provide. If you need a good checklist, feel free to email me and I will be glad to share one I use with you. Keep helping dealers! I look forward to seeing you on my next post. Visit www.go-reahard.com to learn more about how we can help you help more customers. Also, feel free to contact me. Exchanging ideas that get results is my passion! 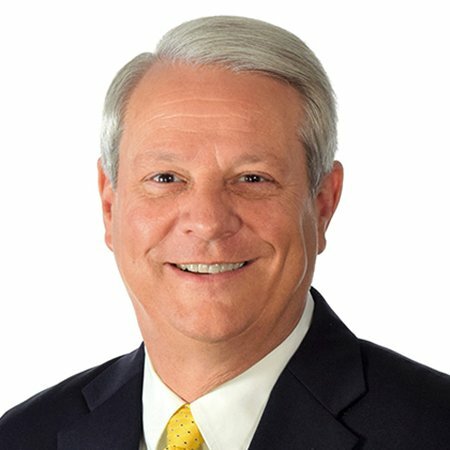 Rick McCormick is the national account development manager for Reahard & Associates. No Strategy? It’s Time to ACT! Top trainer relies on the ACT system — for assess, coach, and target — when an F&I manager is struggling to meet expectations and needs a path to higher production and income. Top agents know F&I profits alone can’t guarantee long-term dealership success. 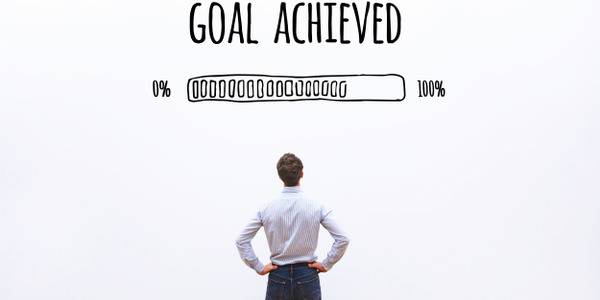 Improve your clients’ financial and corporate health by setting a new ‘GOAL’ for their business offices. Is the F&I Office Tone Deaf? 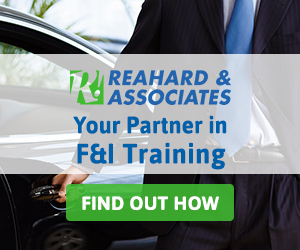 Agents know similarly trained and equipped F&I managers can produce at dramatically different levels. 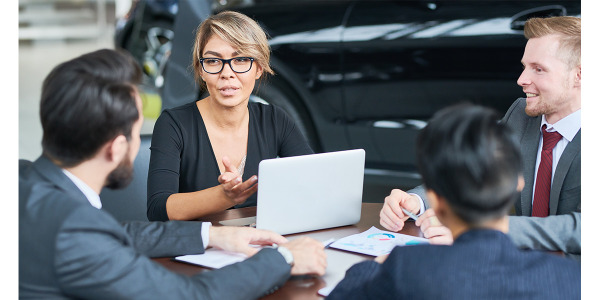 Top trainer explains why that is and how a few proven steps can change the tone of the F&I presentation to the benefit of the customer, the dealership, and your agency. 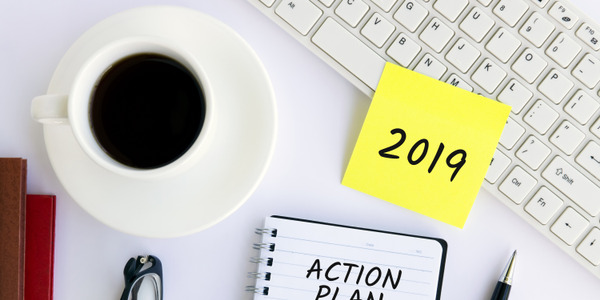 Proactive agents look forward to the start of every new year as an opportunity to address the challenges and opportunities that drive or threaten an agency’s success — and that of its dealer clients. Agents who provide a spark in the training room and help dealers choose the correct technology path will have a competitive edge in the year ahead. Master the Four Pillars of Success With Customers! The One Thing Customers Want Most! The Right Ingredients Get the Right Results! Small Choices Lead to Big Explosions!